Chelsea joined the Firm in February of 2018. Her favorite actor is Jeff Goldblum. She is a digital and watercolor artist. She moved to Colorado for white water rafting and hiking. From Cincinnati, Ohio, Chelsea grew up the daughter of an Ohio Family Law attorney and followed in his footsteps. Licensed to practice in Colorado and New York, Chelsea has experience in family law with divorce, guardianship, adoption, mediation of high-asset estates, allocation of parental responsibilities, and paternity. She is also experienced with military families and the unique obstacles military persons face in family law. Before making Colorado her home, she worked with the Valparaiso Law School Clinic combating deportation in Chicago, Illinois. She’s also worked with The Legal Aid Society of Cincinnati. 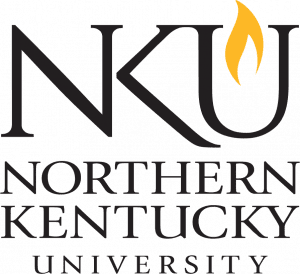 Chelsea attended Northern Kentucky University where she received a degree in Anthropology and a minor in Creative Writing. She was the President of the Student Anthropology Society and received a scholarship to attend writing classes for a Winter semester in London, England. Before entering law school, Chelsea worked for a year at a private medical practice as a New Patient Coordinator. She attended Valparaiso School of Law in Northwestern, Indiana. There, she successfully won her first Asylum case with the Immigration Clinic, wrote onto the Law Review and achieved an executive editor position with the Law Review. Chelsea graduated from Valparaiso School of Law in May of 2017. Chelsea has a warm and welcoming personality. She believes reaching a person empathetically will benefit the client’s case because trust is invaluable between attorney and client. Chelsea feels patience and the art of listening greatly benefit both client and attorney. Allowing the client to vent and speak before the attorney begins to develop legal strategies is a way to connect with not just the facts of the case, but with the entire person and their life. Chelsea is all about connectivity and bonding to better serve her clients. She utilizes open communication, explaining realistic expectations a client should have while discussing the heart of the client’s goals and develops fully realized pictures of both the client’s needs, concerns and legal goals. Chelsea is not afraid to take a client’s case to court—however she also believes in the importance of settlement and negotiation. It is Chelsea’s goal to make a hard situation a bit easier, and that is through honest and heartfelt connectivity. Chelsea is a member of the Colorado Bar Association, the El Paso County Bar Association, and the New York Bar Association. She was awarded the Public Interest Fellowship stipend in law school for her dedication to low-income families and public interest work. Chelsea is a budding novelist, debuting her first novel under the pen name Li Hill, Universal Chemistry, which blends her interests of sci-fi and immigration law. Her book is available at all major retailers and Amazon. Chelsea is part of the national “cosplay” scene and attends comic conventions to celebrate costume design, whether it be as an attendee or competitor. She partakes in yearly Fandom Trumps Hate auctions where she donates art pieces for charity in celebration of both love of people and love of superheroes. Contact Attorney Hillman and the rest of our team at Modern Family Law for a free case evaluation.